Hi, I’m Valerio Velardo – Welcome to my little corner of the Internet! I’m co-founder and CEO of Melodrive. At Melodrive, we’re using AI to develop a music system that is able to automatically generate soundtracks for VR and video games. As a startup founder, I do a bit of everything. I code and work on product. I do fundraising, oversee the lead generation process and am in charge of the strategic vision of the company. It’s pretty stressful, but I love it so much that I wouldn’t change this job for anything in the world. I come from an interdisciplinary background in music and science. I have a PhD in Music and Artificial Intelligence. Sounds weird doesn’t it? In my years doing research at the university, I focused on teaching computers to act creatively, by creating rock music autonomously. I am a classically-trained musician, with degrees and work experience in composition, conducting and piano performance. I also studied astrophysics at degree level. 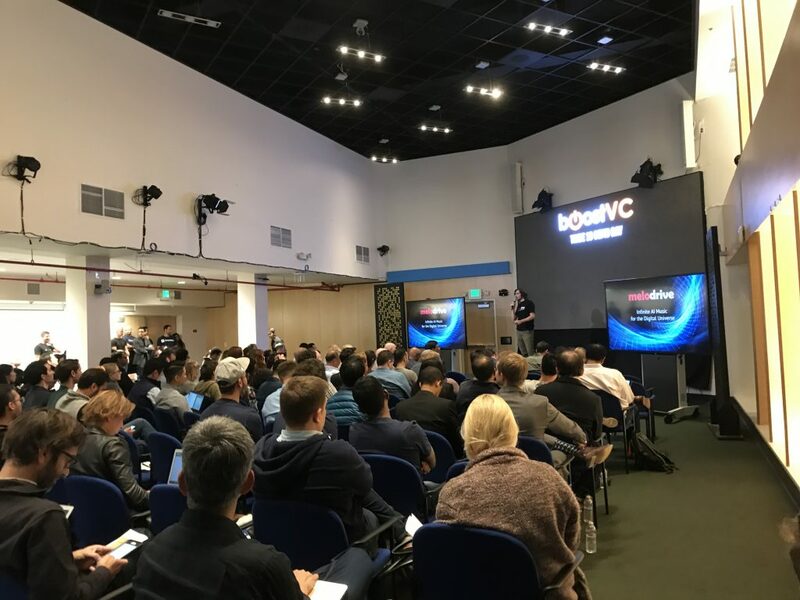 Valerio pitching Melodrive at Boost VC Demo Day (Tribe 10). I’m a great fan of emergentism, systems thinking, interdisciplinary research, chess and strong AI. I believe one day computers will be better than us at creating all sorts of creative artefacts from visual arts to music. Most of my day is spent trying to make the previous sentence true as soon as possible. As you can guess, I am super passionate about startups, music, and AI; and am obsessed by doing stuff where I can wear many hats. I love sharing my experience about what I learn day after day at Melodrive. I’m glad when I can be useful to others. That’s why you’ll find a blog section of my website, where I’ll be writing posts on AI, ML and computational creativity. My passion for sharing information goes back to when I was working at the university. There, I taught a number of classes and I enjoyed the process a lot. To keep in touch, you can follow me on Twitter, and add me on Linkedin. The most useful way to get value out of me, however, is to join my mailing list Python AI to get educational content on Artificial Intelligence every week. You can take a look and subscribe here! I also wrote a A Step-by-Step Guide to Fundraising. If you’re a founder, or somebody interested in getting involved started you may find this useful. Looking forward to seeing you around here – or perhaps in person – soon!